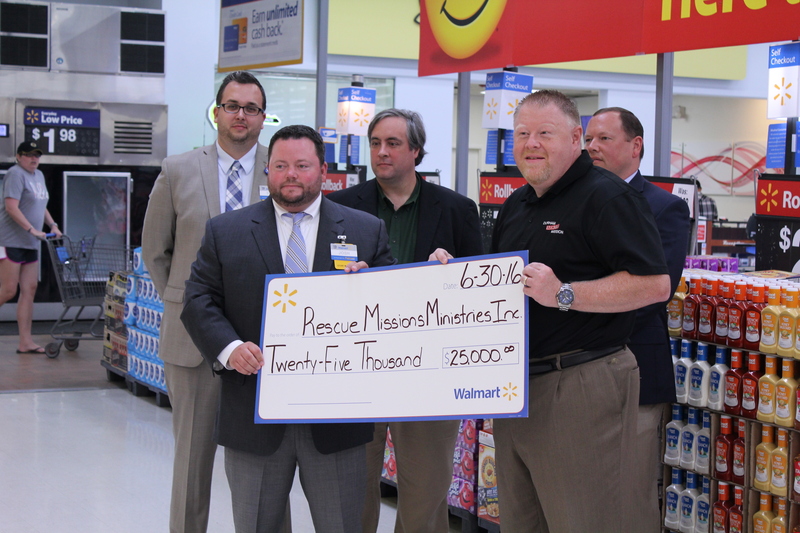 The Durham Rescue Mission received a $25,000 grant from the Walmart Foundation’s State Giving Program. 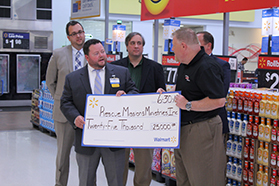 Tony Gooch, our Director of Development Operations, met with Walmart Regional General Manager John Mims and Walmart Market Managers Brad Barritt and Nicole Brown-Hardy to receive the check! The Durham Rescue Mission relies heavily on the support we receive from the community. 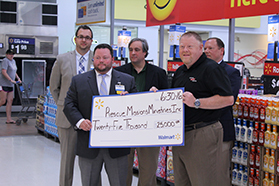 This generous gift from Walmart will provide a quarter of the annual food budget needed for the year!